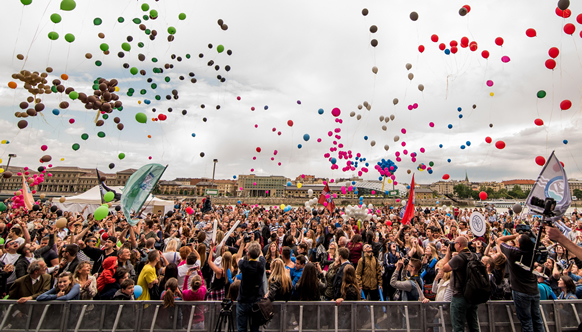 Organised for the sixth time this year, the Danube Regatta is the most significant sports and cultural festival for universities that brings together people with a passion for sports and music by the Danube. With the Danube Regatta, the organiser of the event, the Antall József Knowledge Centre (AJKC), aims to further its key objectives in fields such as the management of young talents, strengthening unity between universities, and expanding their international relationships. AJKC considers it important to emphasise the varied role of the Danube in community building, which is why it works to bring this free festival to the Műegyetem rakpart (BUTE embankment) each year. 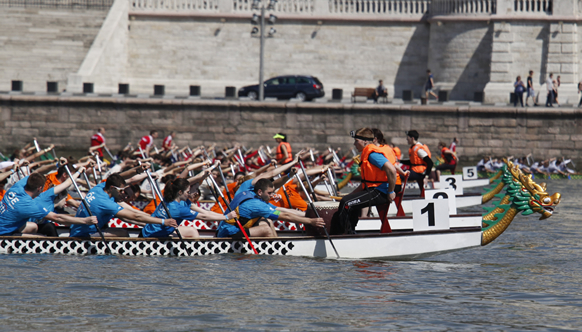 In the Danube Regatta V4 Races, rowing and dragon boat teams compete on the most beautiful stretch of the Danube, between the Parliament and the Budapest University of Technology and Economics (BUTE). The rowing competition will be even more exciting in 2018, as on the occasion of the Hungarian Presidency of the Visegrad Group, professional teams from Czechia (University of Pardubice) and Poland (Jagiellonian University) will test their strength against their Hungarian counterparts to find out who will prevail on water. We will also welcome a V4 dragon boat team from Poland (University of Economy in Bydgoszcz) and a beach volleyball team from Slovakia (J Selye University) to compete with their Hungarian rivals. In addition to the races of the Danube, you can choose from several interesting programmes: the finals of the Sound of the University competition, Freestyle Football World Championship Qualification, Street Workout Freestyle World Championship Qualification, a spectacular cheerleading show, Cross Challenge, beach volleyball, e-sports, beer pong, and a climbing wall await you on the riverbank. The day is for cheering on your team and trying various sports, but at night Regatta transforms into a music festival: on the V4 Stage we will be welcoming Kelemen Kabátban, Cloud 9+, while the Ballantines Arena will be filled with the sounds of Soul Surge, Patikadomb, Follow The Flow, Ivan & The Parazol, and Saverne. After midnight it’s the DJs’ turn, with Drop the Cheese and Peter Jabin & Bakaszabi bringing the beats. Row or cheer, try new sports or just kick back then party until dawn with your friends! Join us and save the date: 5 May, Műegyetem rakpart (BUTE embankment)!